Adrian Brown took this image of NGC 206 in September 2011. 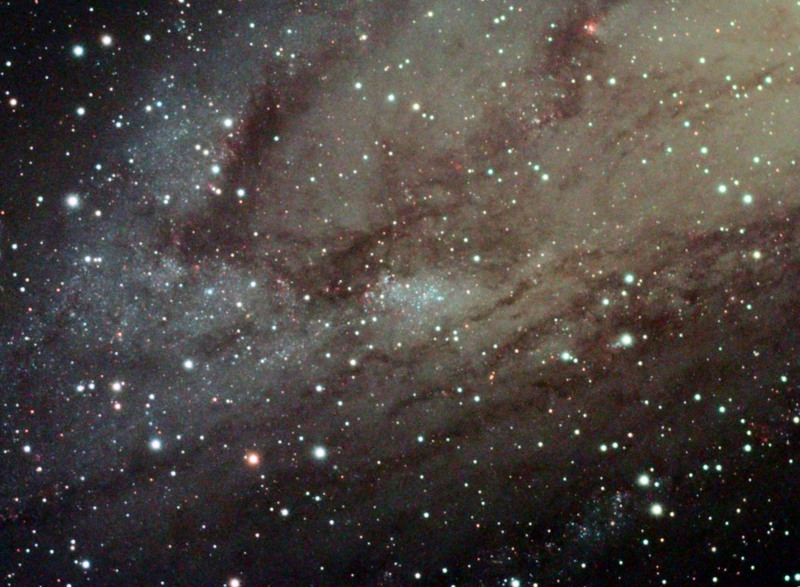 NGC 206 is a bright star cloud in the Andromeda Galaxy (M31). It is visible as the patch of blue stars in the centre of the image. Adrian used a Celestron C5 SCT telescope, focal reduced from f/10 to f/7 and an ATIK ATK16HR CCD camera. The exposure details for this LRGB image are 52 x 5 minutes via an Astronomik Luminance filter and 21 x 4 minutes (Bin 2x2) each via Astronomik RGB filters.